Gather in your pack and howl at the moon with the black Daily Wolf Coloured Contact Lenses. 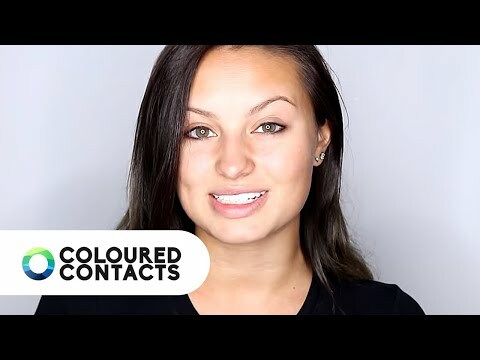 These striking coloured contacts are crazy eye accessories for anyone who wants to change their eye colour and image within moments. These black and yellow Wolf lenses bear resemblance to a prowling wolf’s eye. The striking complexion of a black background and a striking yellow ring creates a piercing vision. These are the perfect Halloween contact lenses to keep you howling towards night sky all night long. They will compel everyone who sets sight on you and can add that all important feature to your Werewolf costume. These coloured contact lenses are renowned for being safe and easy to use. Their success is down to a mixture of quality and trust, combined with great creative designs. These amazing contact lenses can be worn for Halloween or to freak people out at your next fancy dress party. So what are you waiting for? Become the best hunter on the block with these Wolf coloured contacts.